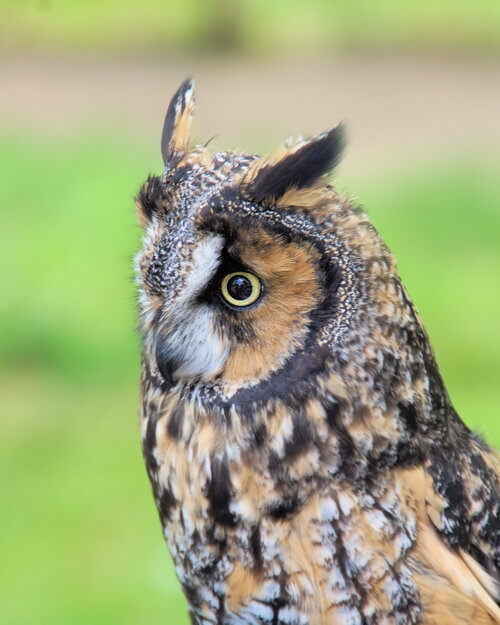 This entry was posted in Birds, Pics, Sweetbriar Nature Center and tagged Long-eared Owl, Owl by JK. Bookmark the permalink. He looks worried that the music is too loud. …that’s a nice bird. Around here Long-eared Owls are rare (and show only in winter). Great shot! Hi Kelly. Thanks for stopping by. Thanks for the compliment, but this shot was easier than you might imagine. This is not a wild bird. Well, it is a wild bird but it isn’t in the wild. This poor guy is permanently injured and is now in the care of some fine rehab folks.